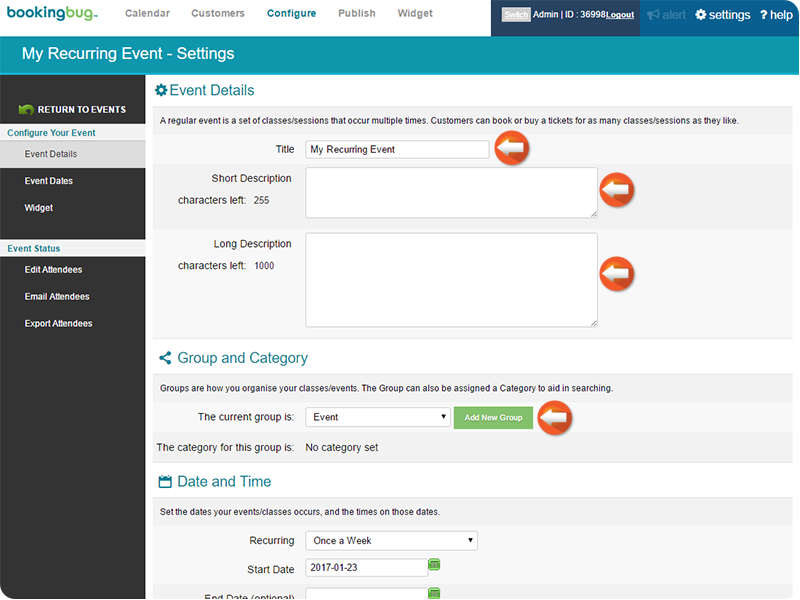 Enter the desired Event name, Short Description, and Long Description. 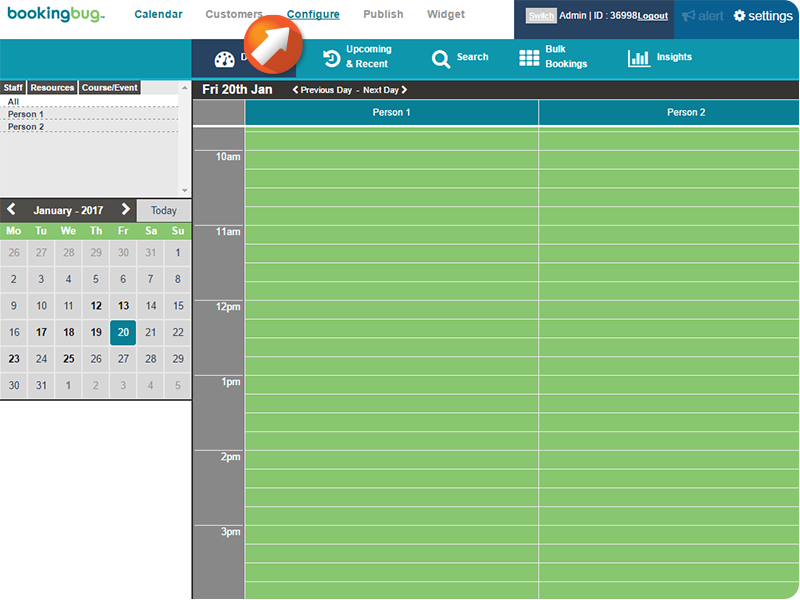 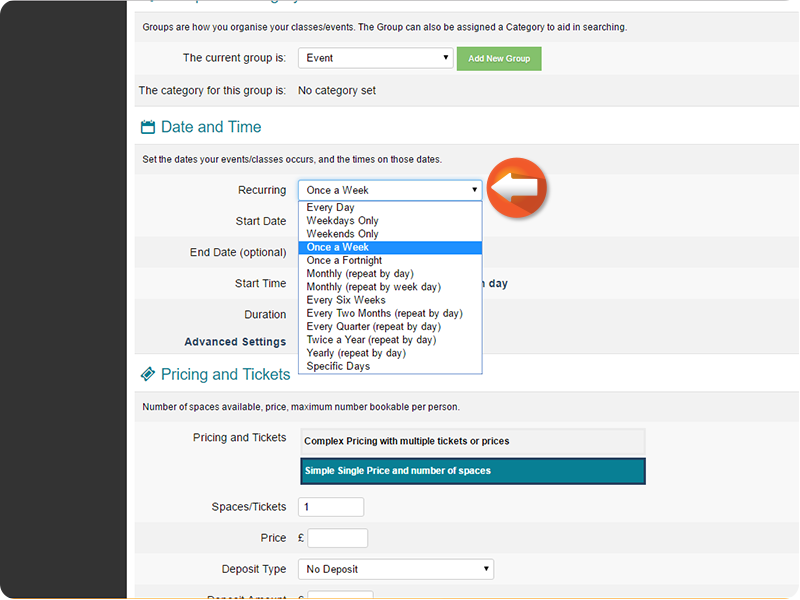 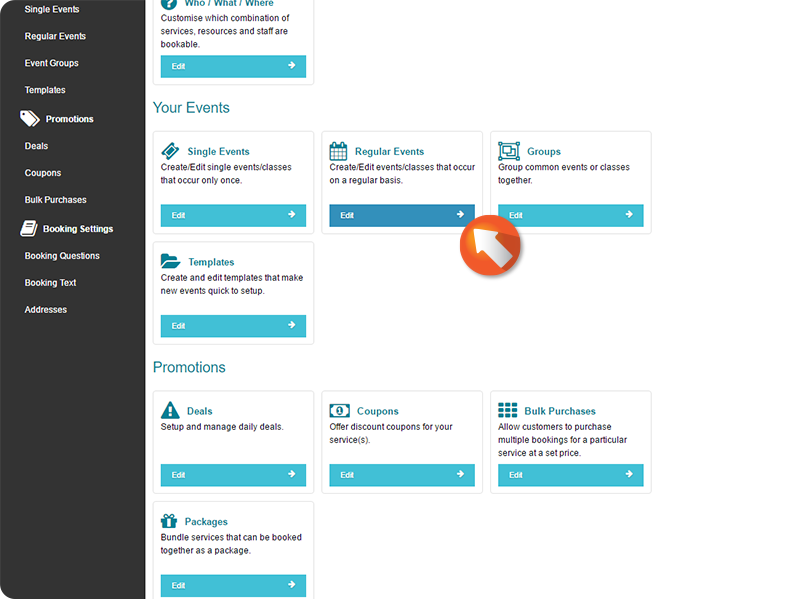 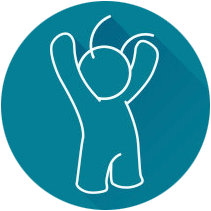 Click the Recurring dropdown menu to select the desired repeat option for the Regular Event. 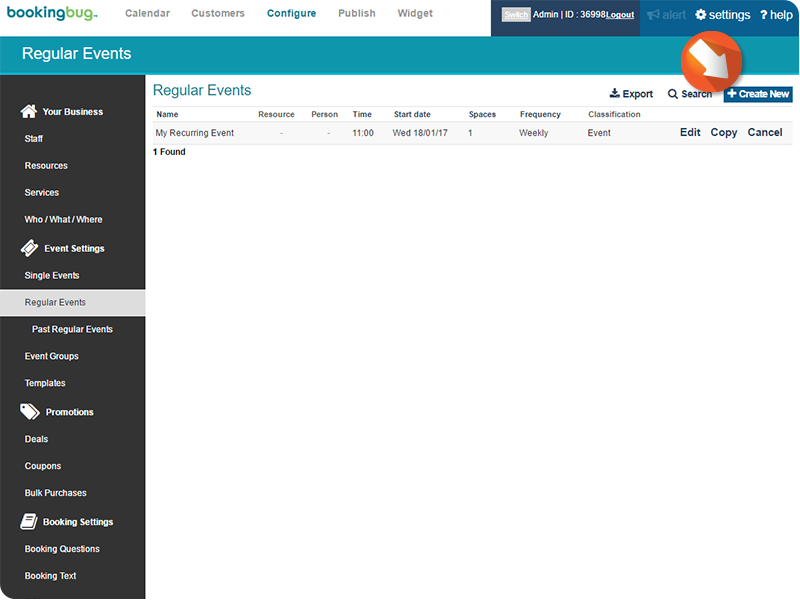 Use the Date and Time menu to select if the Event will be a single day, or occur over multiple days. 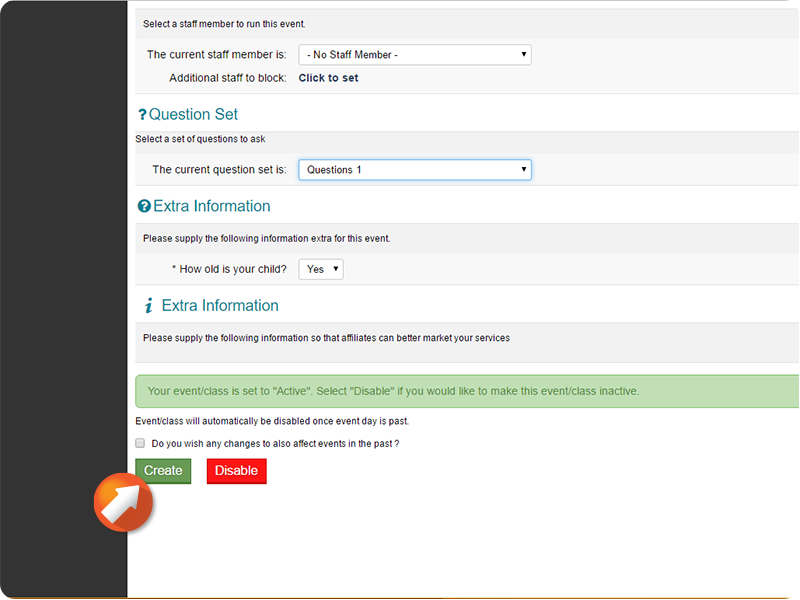 Adjust the start time of the Event as desired. 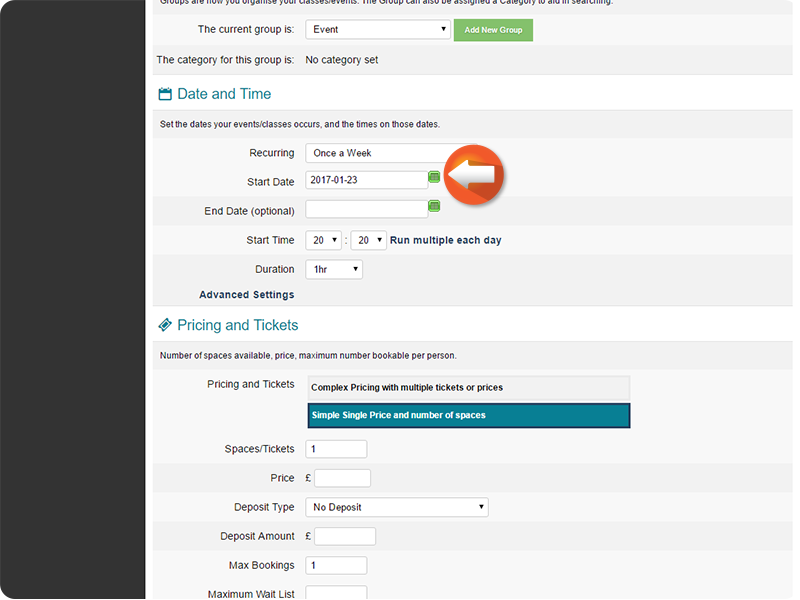 Click to edit the Pricing field. 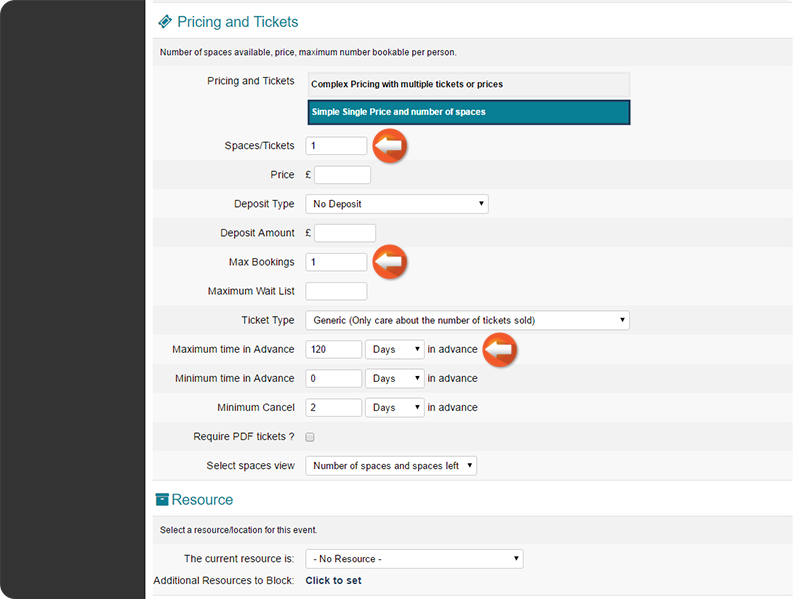 Select the maximum number of attendees, the minimum purchase time in advance, and other options from this menu. 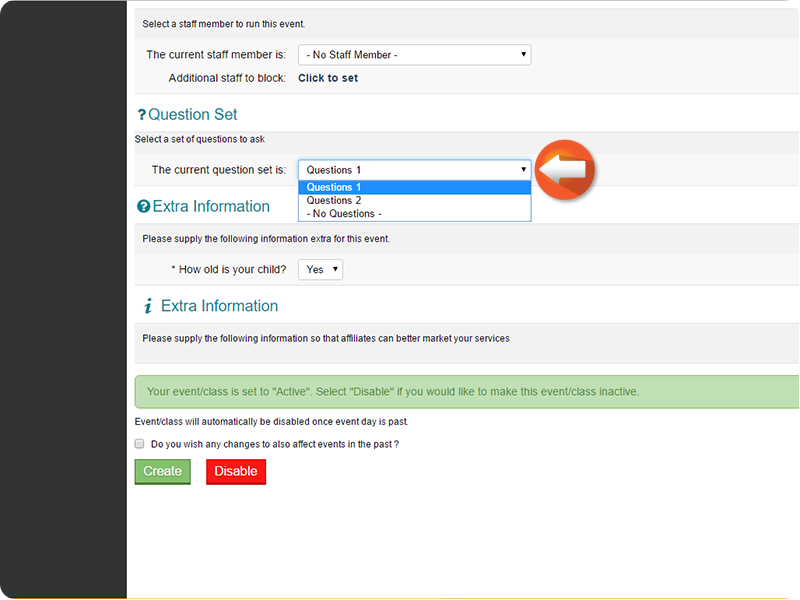 Click the Question set dropdown menu to select the desired question set.